Yannick Dalmas signed B&W photo. High quality press photo, signed "Amicalement, Yannick Dalmas 89". 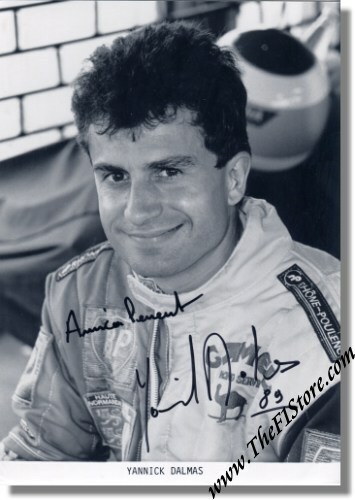 This photo dates from the second year (1989) of his 7-year (1987 - 1994) Formula One career when he drove both for Lola-Lamborghini and for AGS-Ford.